FREE COMMUNION SERMONETTES provide some free communion sermonettes or free mini-sermons and explain how to write a sermonette. It takes discipline to write SERMONETTES or mini-sermons. We all know that sermonettes are shorter than a sermon; however, writing sermonettes still requires structure. Sermonettes still need an introduction, a body and a conclusion. The only difference is that the content of a sermonette or mini-sermon must be compressed so that the deliver is kept to five minutes or so. 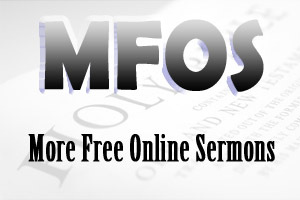 The body of a sermonette has a main preaching point and a couple of explanations. To put it simply, you introduce your sermonette subject, say a couple of things about it and then conclude your sermonette. There are a couple of free communion sermonettes below. When we look at the achievements of mankind over the last few decades, we marvel at what man is capable of doing. In many ways, the brilliance of mankind is evidenced all around us. We only need to look at the technological advances in telecommunications, space travel, computers, electrical appliances, medical procedures, etc. etc. In some ways, man is reaching a position where he is beginning to think his potential is unlimited. A couple of years ago on national television, a medical doctor said that man has the potential in this next century to wind back the aging process. What a lofty statement! He went on to say that man could find himself in the position of living longer and longer (and dare he say it) even forever on this earth. Yes, man is capable of doing all sorts of things, but there is one wrong man cannot right. As much as man has tried, man cannot right the wrong of sin. Only Jesus Christ can right the wrong of sin. But man says, "I'm not a bad person." But God says that all have sinned and fallen short of the glory of God (Romans 3:23). As much as we would like to right the wrong of sin, man cannot. We cannot within ourselves right the wrong of sin. Only Jesus Christ can right the wrong of sin. The Lord's Table reminds us of this truth. "Christ suffered once for sins, the just for the unjust, that He might bring us to God" (1 Peter 3:18). The bread reminds us that Jesus Christ gave His life for ours in order to bring us back to God. The cup reminds us that Jesus Christ gave His life (shedding of blood for the remission of sin) in order to us back to God. Let's remember this morning that man can do many things but he cannot right the wrong of sin. Only Jesus Christ can do that. Let's remember that this morning as we come around the Lord's table to thank God for making right the wrong of sin. Someone once said, "There are no good people in heaven only saved people redeemed by the blood of Jesus Christ." I'm glad being good is not a prerequisite or condition for heaven. Do you know why? I would not make it. Even as a Christian, I would not make it because I am not always a good person. I still do things that offend God. In that sense, that's why we have the Lord's Table. It reminds us that the only prerequisite for heaven is faith in Jesus Christ...faith in His finished work. You see, Jesus died on the cross to open the way for you and for me to come into God's presence and ultimately to go into heaven. As the apostle Peter said, "Christ suffered once for sins, the just for the unjust, that He might brings us to God." We can come into God's presence this morning through faith in Jesus Christ. And these emblems tell us why? The bread reminds us of his broken body, bruised for our sins. The cup reminds us of His life being poured out on our behalf so that our sins can be forgiven...so that we can be right for heaven. So, the Lord's Table tells us that being good is not a prerequisite for heaven, only faith in Jesus Christ.